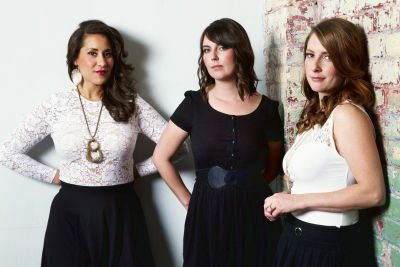 Hailing from what has been described as the music capital of Canada, Winnipeg, Manitoba’s WCMA award winners Sweet Alibi (Jess Rae Ayre, Amber Rose and Michelle Anderson) have captivated audiences since 2009 with their charming and personal performances. With 3 releases, over 360 shows across Canada, 33 plus festival performances, in numerous radio performances and interviews, Sweet Alibi is fast becoming a well-known Roots/Pop group. “If you can imagine Patsy Cline writing songs with Feist you kind of have an idea of where Jadea Kelly resides within the musical spectrum”- The Pop Stereo USA. Some of the greatest art is drawn from darkness. So too was Love & Lust - a compelling and honest release from Jadea Kelly this 2016. A powerful new collection of songs, is once again rich with ambient and atmospheric arrangements with lyrics that dig deep, exploring uncharted emotional territory. Her single "Make It Easy" recently spent several weeks on CBC Radio 2's Top 20 chart. Jadea’s body of work continues to earn her worldwide reviews and radio play, with tours across North America and Europe.